If a book’s thickness tells a story, the 68-page Architectural Pattern Book displays the weight of the developer’s devotion to exacting architectural styles and historic design standards throughout Jackson’s Grant. From structures to materials, essential elements and finishes, to landscaping and house placement, the Pattern Book calls for the most conscientious adherence to design principles in each neighborhood, honoring the eras and craftsmanship of each without compromise. Thoughtful care is taken in the largest details—such as the way a home is situated with streetscape focal points for attractive views—down to the smallest, all coming together to create a strong sense of place without one’s being aware of such well-planned choices—it simply takes your breath away. Character lives in the forms and ornamentation, brickwork and color schemes, columns and railing, entries and porches, shutters and dormers, exterior doors and windows, lighting and so many more exacting details. Constant oversight by the Jackson’s Grant Architectural Review Board will ensure the standards prevail. The intent is to build a legacy, and by sheer good fortune in this land so rich in heritage, creating one of the most architecturally significant developments in central Indiana. 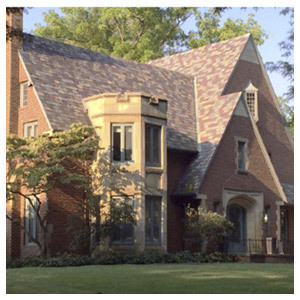 The following architectural styles that are the fabric of many historic central Indiana neighborhoods will be emphasized in Jackson’s Grant; Classical & Greek Revival, French Eclectic, Colonial Revival, Tudor Revival and Craftsman. This style is based on the proportions and massings found in classical architecture originating in Rome and Greece. This style was revived and the favored during the nation’s first major push west into the territory from which states such as Indiana emerged. Later revivals and growth in popularity have resulted in this becoming one of the nation’s most influential and long lasting styles. These homes can be found on any lot ranging from the smallest to the largest. Steeply sloped pitch roofs are a hallmark of this style which began to reemerge in the second half of the 20th century. 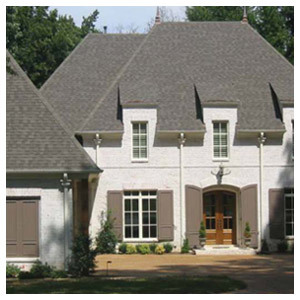 This style has seen renewed and growing influence with attention paid to simple yet graceful facades. These homes are most suitable on medium to large lots. A nationally dominant style which first took shape in the late 19th century and continues to influence design and construction today. Rooted in the original homes built along the eastern seaboard during the nation’s founding and predominantly based on Georgian and Adams styles. 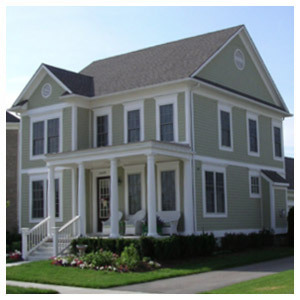 Colonial Revival homes can be easily adapted to fit on lots ranging in size from medium to large. Loosely based on early English tradition, this style became wildly popular throughout the United States during the 20th century. Distinctive homes designed according to the principles of this style with a wide range in size and elaboration can be found throughout the region. This style’s popularity and its ability to accommodate homes varying in mass and size have carried it through to the present. These homes are best suited for medium to large sized lots. One of the few truly original American styles, Craftsman emerged in the early 1900’s and spread rapidly throughout the nation to become the most popular housing style of its period. The style has seen a revival in the late 20th and early 21st century with common features such as an extensive front porch, low pitched roofs and large overhangs that are easily adapted to different regions. The design of these homes are best suited for small to medium sized lots although a few may be found on larger lots as well.